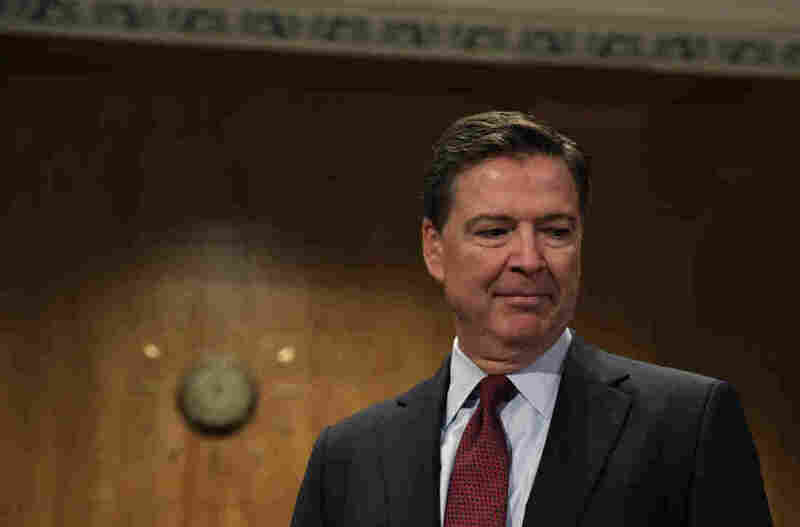 Full Text And Analysis: James Comey Opening Statement To Senate Intelligence Committee Ex-FBI Director James Comey testified before the Senate Intelligence Committee on Thursday, his first public comments since his firing on May 9. Here are his prepared opening remarks. Former FBI Director James Comey is testifying on Thursday before the Senate Intelligence Committee. His opening statement was released on Wednesday. Former FBI Director James Comey testified before the Senate Intelligence Committee on Thursday, saying he believes he was fired because of the Russia investigation he was leading at the time. The committee posted Comey's opening statement on Wednesday; Comey did not read it aloud during the hearing. In the document, Comey says President Trump asked him for "loyalty" at a dinner in January and later in the Oval Office said he "hope[d] you can let" the investigation into his former national security adviser Michael Flynn "go." The White House has denied that Trump ever asked for the investigation to be shut down. Before Comey was fired on May 9, he led the FBI's investigation into Russian interference in the 2016 election and potential ties between Trump associates and Russia. That probe is now led by a special prosecutor. Here is his full opening statement, annotated by NPR journalists.